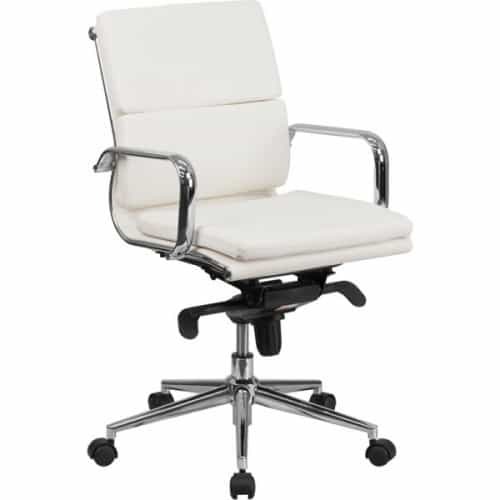 The Luxe Leather Conference chair is a mid-back design with built in lumbar support for ultimate style and comfort for your luxurious office or conference room. Each chair has a coat rack on the back of the chair. 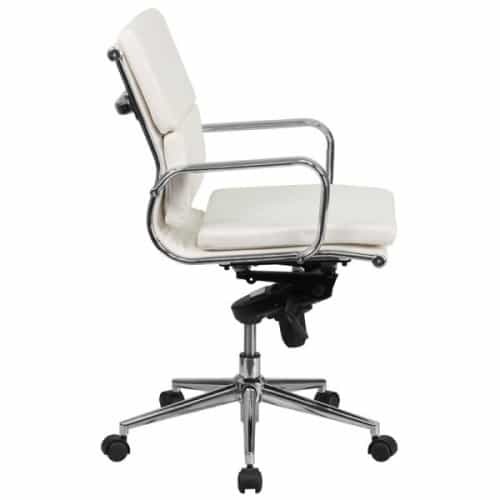 The chairs are highly adjustable and come with chrome padded arms and a heavy duty chrome base with dual wheel casters for easy movement. 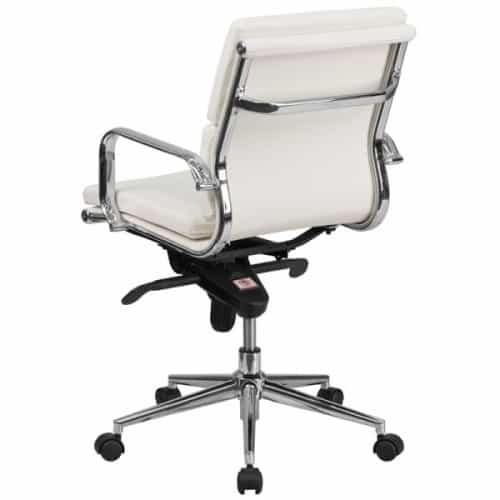 The tilt tension, swivel, and syncho tilt will allow ajustability and added comfort to meet your needs and preferences. Great conference chairs for our conference room. Super affordable, comfortable, and trendy. This chair is such a steal. For starters this chair is ridiculously cheap for how nice to sit in it is. Most chairs this relaxing are upwards of $850. It is a beautiful milky white and goes with almost everything in any room. I loved it so much I bought 2 more. I ordered this chair for my wife and she is in love with it. I was actually surprised at how comfortable it is because I mainly bought it for the look.